Whenever you purchase a property that uses a septic system it is prudent to have a septic inspection done so that you can be sure that there are no existing septic pumping problems. 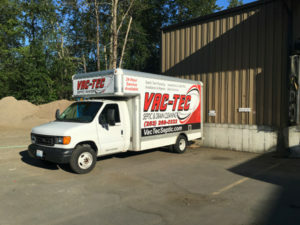 VAC-TEC LLC. is an area company that provides high quality septic tank pumping services for Gig Harbor, WA clients. We never consider a project too large or too small. We provide our best quality septic tank pumping services at affordable pricing coupled with excellent customer service. We schedule septic tank cleaning or septic pumping at your convenience so your daily life is minimally disturbed. 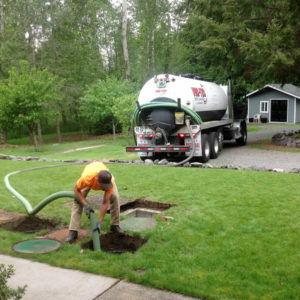 As part of our septic service, we ensure that our septic tank cleaning in Gig Harbor is thorough and proper. Our technicians are equipped with the latest and the best quality equipment that help them in their task of septic tank cleaning. They will use video inspection for underground tanks to assess the location and extent of the problem. This will also help in formulating plans for the effective solution of the septic tank problem. Why Should Gig Harbor Residents Choose Us for Septic Pumping? We are the perfect company to choose for septic pumping in Gig Harbor as we possess all these qualities. We have worked hard to earn the reputation of a company offering excellent customer service and pricing. 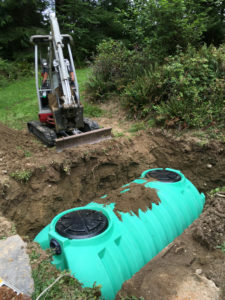 If you have any problems related to the septic tanks or drain fields or pipes and you are looking for the right company for septic tank cleaning in Gig Harbor, call VAC-TEC LLC. at Tacoma – (253) 777-4887 Seattle – (206) 339-0039 Olympia – (360) 338-6686 North Dakota – (701) 566-0045.